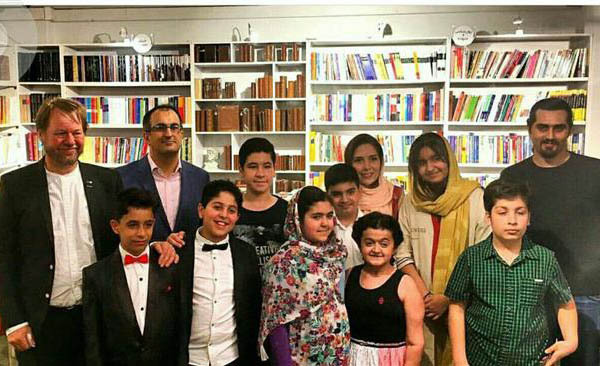 A group of Iranian teenage musicians will perform at a music festival in Denmark later this month. The young musicians will perform at the NYT music festival and the University of Copenhagen on November 25 and 27. During the concerts, the young musicians and composers will perform pieces based on the tale of Bijan and Manijeh from Shahnameh, the book of renowned Iranian epic poet Ferdowsi. The pieces will include a trio of Iranian musical instrument Santour, Cello and Piano. Additionally, the ensemble will play pieces from Iranian composer Amir Mahyar Tafreshipour, Danish musician Mogens Christensen and German composer Bernd H�nschke. The performance is jointly organized by the Danish embassy in Tehran and the Birkerod music academy.